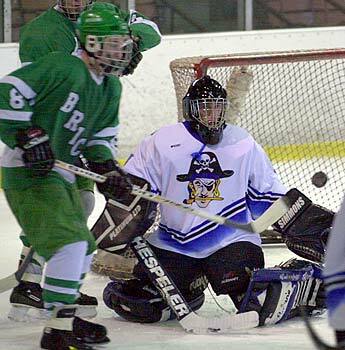 Senior netminder Geordan Murphy's eyes are focused on the puck. Senior Captain E.J. 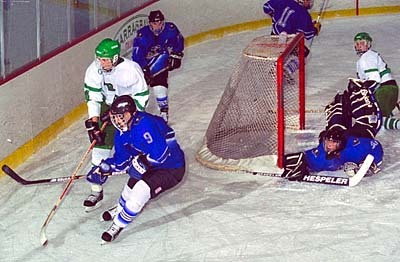 Solimine (foreground) battles for the puck along the boards. Sophomore Ryan Collis tries to shoot the puck through the five-hole. 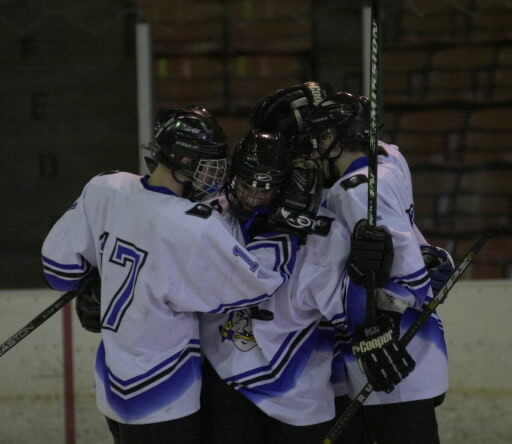 Ryan Collis (center) celebrates with Junior Scott Eberenz (left) and Sophomore Jon Ralph (right) after scoring a goal.